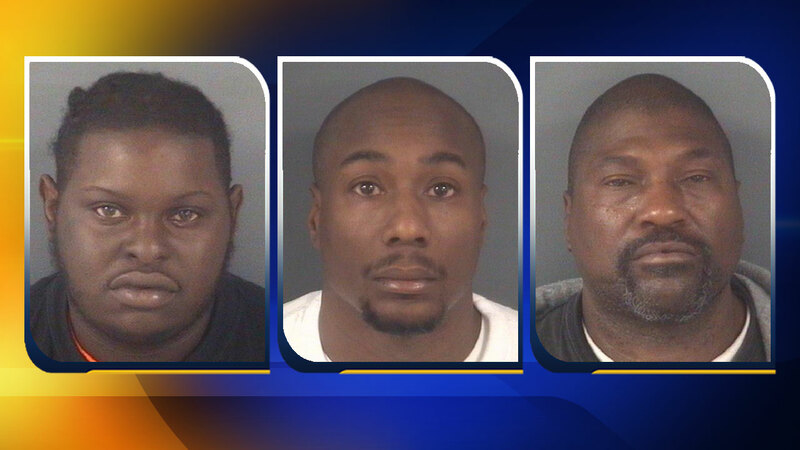 FAYETTEVILLE, North Carolina (WTVD) -- Authorities have arrested a third man in connection with the murder of a woman in Fayetteville last November. Albana Nika, 40, was shot to death outside of Jumpers Nite Life on S. Reilly Road on Nov. 8, 2016. Nika, of Boston, Massachusetts, was shot at least once outside of the business and was rushed to Cape Fear Valley Medical Center, where she died. Robert Jamar Avant, 25, has been arrested and charged with first-degree murder and conspiracy to commit murder in connection with the crime. Avant, of the 7400 block of Southgate Road in Fayetteville, surrendered to authorities in Columbus County on Monday. He has been transferred to the Cumberland County Detention Center where he remains without bond. Two other men, one of which was the victim's fiancé, was previously arrested and charged in connection with Nika's death. David Martin, 45, of the 1300 block of Carolee Court and Antonia Monroe, 52, of the 1300 block of Chilton Drive, have also been charged with first-degree murder and conspiracy to commit murder. Martin was Nika's fiancé. Monroe and Martin are currently held at the Cumberland County Detention Center under no bond. This remains an ongoing investigation and FPD Homicide Detectives continue to ask the public to contact them with any information they have concerning the murder of Nika.